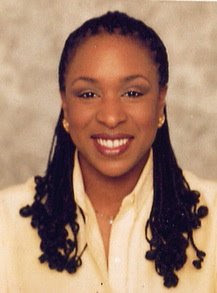 Welcome to the new blog for Sherlinda Dix. This is the place where her fans get to visit and know a little more about their favorite Actress. This blog is also a good place to find out what she will be doing next. At this time she is negotiating a contract with a well known iconic Producer/Director. Chatter has started in Hollywood about the possibility of this extraordinary paring. This partnership could change the entertainment industry! The list of leading men proposed to perform opposite Miss Dix in one of several features attached to this agreement has already led many to believe they have overlooked one of this generation's great leading female talent that is Sherlinda Dix. Well, thank goodness for her fans, and the rediscovery of this romantic leading lady. Hey! If you're financial challenges seem overwhelming, consider working from home today! 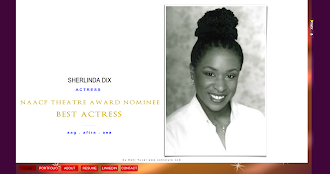 Beri Productions focuses on managing the many facets of Sherlinda Dix's career as an Actress. Through our partners, we help to share the Gospel around the world. We also provide food, clothes, medicine and housing for victims of natural disasters. Heavenly Father, I confess with my mouth, and believe in my heart that Jesus is Lord. I believe that He lived, died, and was raised from the dead for my salvation. I receive my salvation and all of its benefits right now. Lord, thank You for saving me this day. In Jesus' name, I pray. © 2014 Beri Produtions™ LLC. All Rights Reserved. All your orders can be put on Autoship when you enroll at Beyond Organic. Learn more about our organic market. © 2014 Beri Productions, LLC. All Rights Reserved. Web design by Sherlinda Dix. Awesome Inc. theme. Theme images by merrymoonmary. Powered by Blogger.